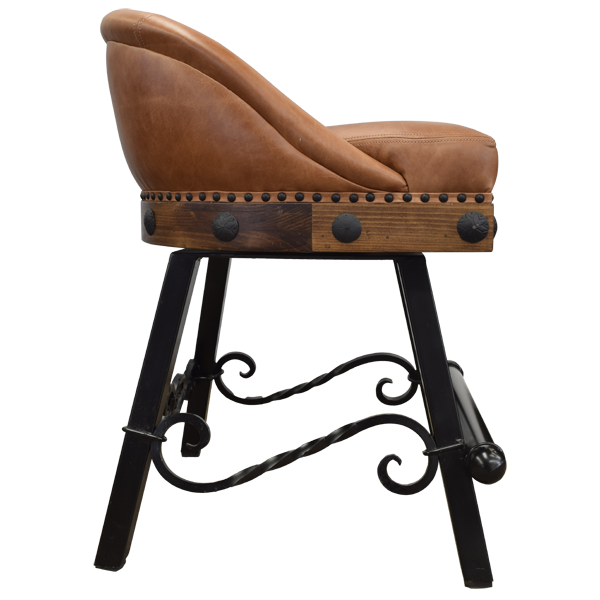 Experts estimate that a leather upholstered chair can last four times longer than a fabric upholstered chair. When you also consider comfort, durability, and appearance, leather is really the best option. 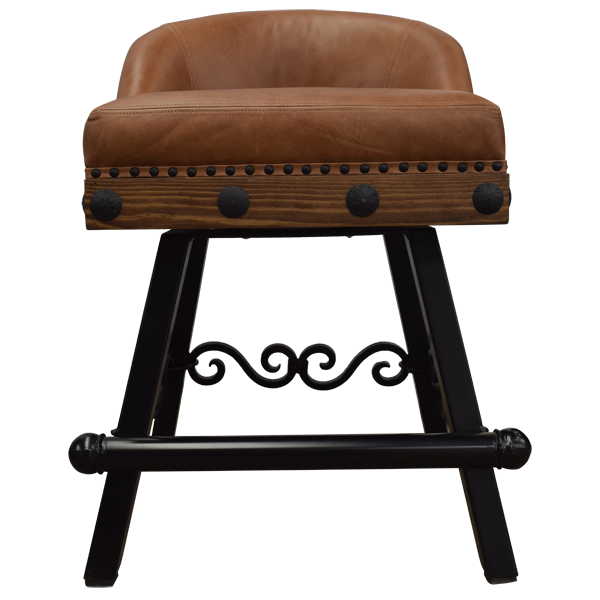 The seat and both sides of the seat back are upholstered in beautiful, natural full grain leather. 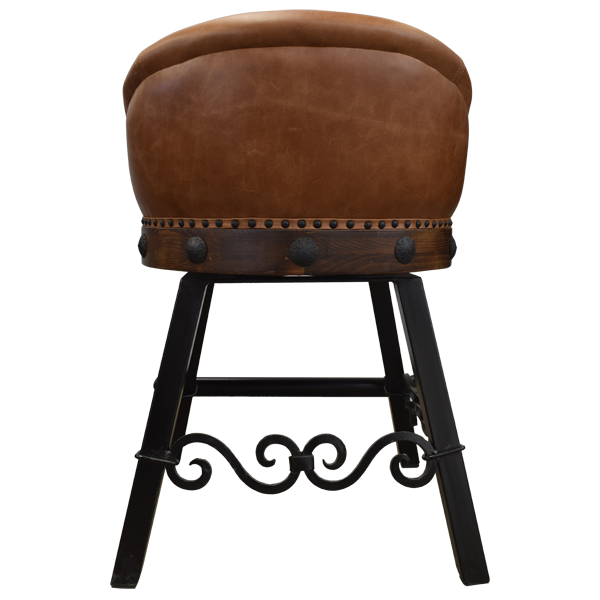 With its natural full grain leather, this custom bar stool will blend easily with your existing décor. The wood base is decorated with hand forged iron conchos made in our factory. 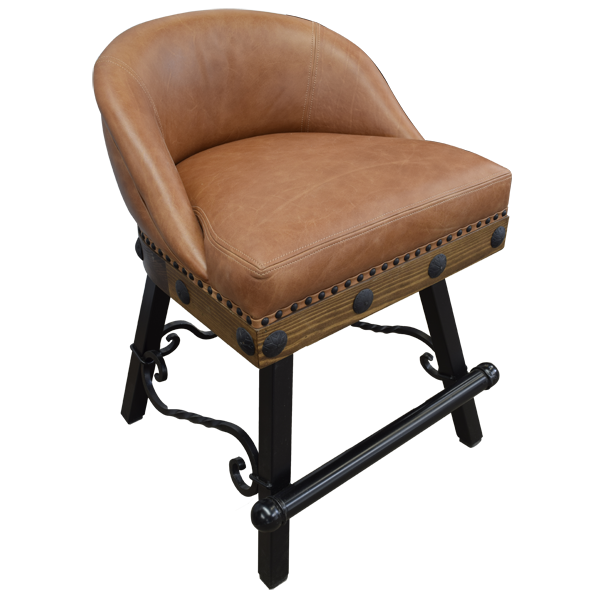 The upholstery is hand tacked to the base with precision by our skilled craftsmen. 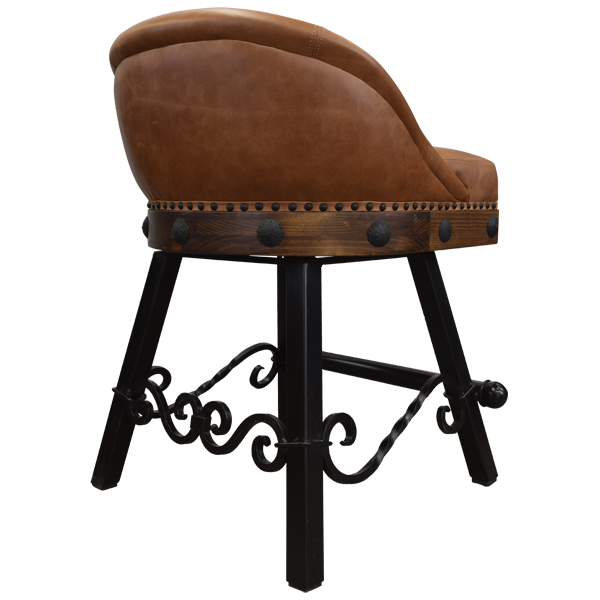 The bar stool sits on splayed hand forged iron legs, joined on three sides by scroll designed hand forged iron. 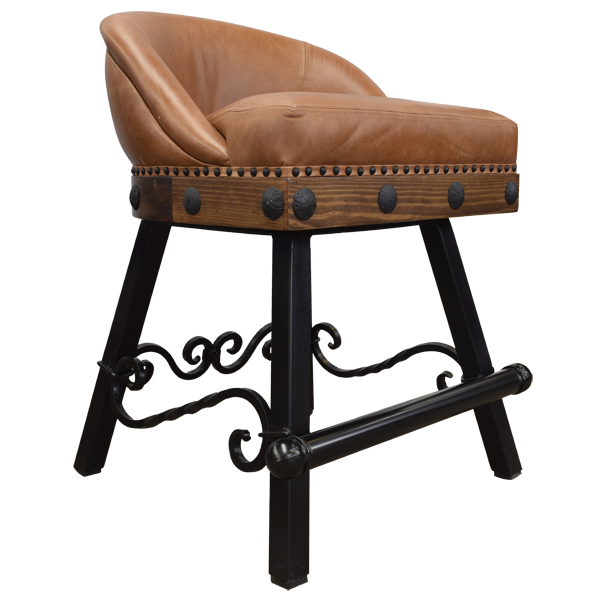 The legs in front are joined by a hand forged iron footrest. It swivels 180° and is 100% customizable.